Surrogate Solutions is not your typical staffing company. Surrogate Solutions matches intended parents with surrogate mothers. 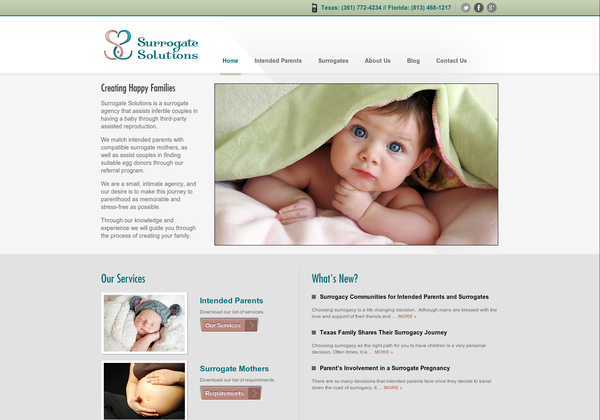 Surrogate Solutions was looking for a new website to better convey their very personal approach to helping couples through the journey to parenthood. They were also looking to reach more potential surrogates and increase traffic to their site. To find out more about our website services give us a call at 888.696.2900. We have website designs that will fit every budget!